If you are too young to remember the Vietnam War, you may not be familiar with a brave and courageous man. 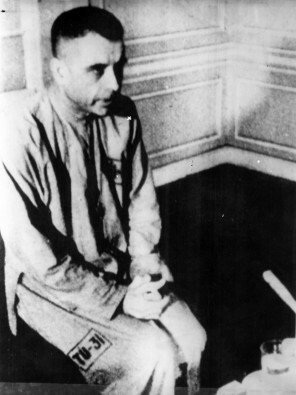 His name is Jeremiah Denton, and I was saddened when I read of his death last week. The service of U.S. Navy Comdr. Jeremiah A. Denton, Jr., was nothing short of remarkable. As the pilot of an A-6 Intruder, he led bombing runs over North Vietnam. On July 18, 1965, he was shot down and taken prisoner. While at the Hanoi Hilton, his captors intended to use him in a propaganda statement that would denounce the American war effort and praise the Viet Cong for their humane treatment. T: – O: – – – R: • – • T: — U: • • – R: • – • E: • By connecting the dots, Denton’s message made sense. When the winds of adversity roar through your life at a dizzying speed, what is the anchor of your soul? Note: I encourage you to watch the short video of Denton’s interview by clicking here.